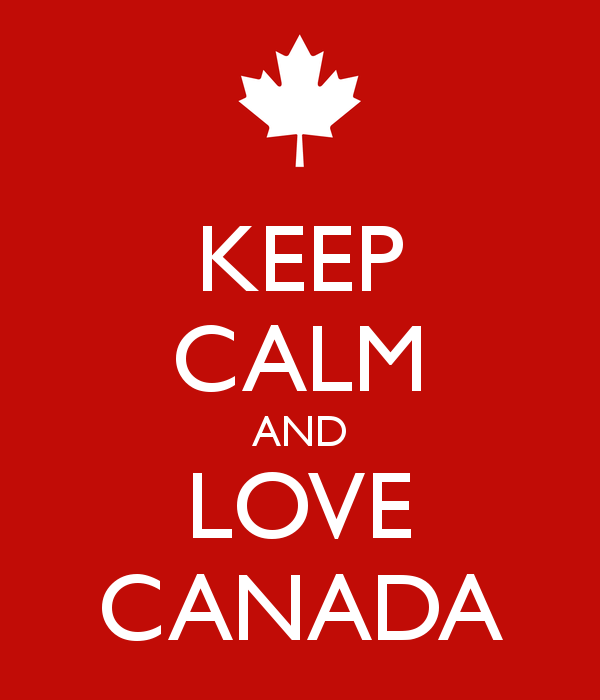 I confess: I AM CANADIAN! Anyone from my homeland will recognise the reference to the well known Molson Canadian beer commercials, starting with “There’s an unwritten code in Canada…” and then depicting young men and women fulfilling classic ‘Canadian’ stereotypes—playing hockey, owning beavers, being polite, enduring cold, paddling canoes, outwitting Americans—before shouting, emphatically, that they are Canadian! The commercial was part of a surge in the late 1990’s and early 2000’s to conjure a sense of Canadian identity out of a population (in)famous for its lack of nationalism. The joke was that being Canadian meant nothing very much at all, and the commercials were self-deprecating even as they aimed to foster patriotism. 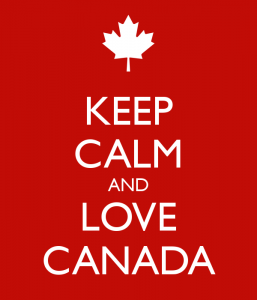 To anyone globally aware or keyed into international politics, however, Canada did have a strong identity: multicultural, progressive, tolerant, peacekeeping, generous, democratic. The nation has boasted wide respect in the human rights community for decades, and our Prime Minister from 1963-1968, Lester B. Pearson, won the Nobel Peace Prize for his role as a key player in resolving the Suez Crisis in 1957 (and is also widely considered to have helped establish the modern idea of peacekeeping and the structure of the UN Security Council). As Canadians travelling abroad know, much of this image has stuck: decorating one’s luggage with the red and white maple leaf still earns smiles and friendly interactions. 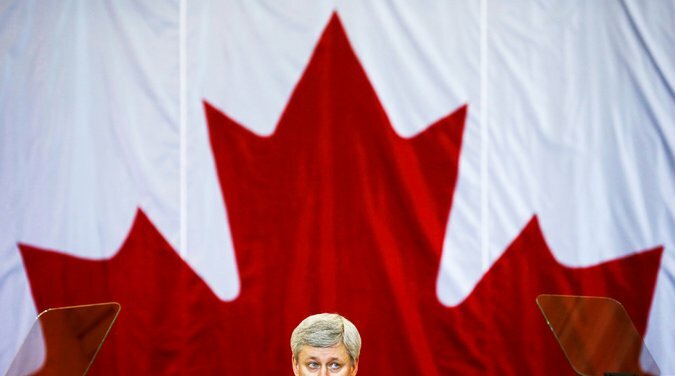 In fact, a recent 2015 report from the Reputation Institute ranks Canada as the “most reputable” and the “most admired” country in the world, an honour it held between 2011-2013 as well. The Institute also produced a list ranking countries in order of their reputation self-perception, on which Canada placed second, indicating that this global opinion has been to a large extent internalised. There is, however, more to the story. The word ‘admirable’ has two definitions: first, the current usage, “deserving of the highest esteem—excellent”, and second, the obsolete usage, “exciting wonder—surprising.” I would argue that for anyone external or internal to Canada who takes a closer look at the country’s social policies and human rights record it would be the obsolete, archaic definition that rings true: surprise. Such individuals, for instance, might be surprised to read the most recent UN report on Canada’s human rights record, which slams the country for failing to respond to missing and murdered Indigenous girls and women, the country’s new hardline anti-terrorism bill (C-51), overcrowding in prisons and overrepresentation of Indigenous peoples in the criminal justice system, gender inequality, indefinite detention of migrants and asylum seekers, excessive use of force by police, the general erosion of civil liberties, and the unaccountability of Canadian resource extraction firms overseas (such as Barrick Gold), among others. Canada isn’t just falling short of its reputation; it is falling short of its international legal commitments under the International Covenant on Civil and Political Rights, which the UN Human Rights Committee was assessing. The report was described as ‘sobering’, a ‘wake-up call’, and earned headlines in a number of major national media outlets, including the Toronto Star, Globe and Mail, Huffington Post (Canada), CBC, and the Ottawa Citizen. 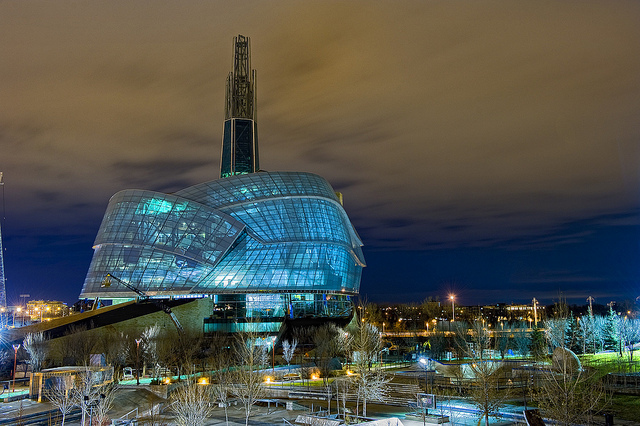 The $351 million Canadian Museum for Human Rights in Winnipeg, Manitoba, opened in 2014, is part of Canada’s attempt to make human rights a lasting part of its national identity. However, it is statements like Sir Rodley’s that point to one of the problems: the very idea that Canada was once, or still is to some, ‘good’ (or the best) on human rights in the first place. Canada, for instance, has never been ‘good’ on Indigenous rights—its very existence as a nation is built on the crime of settler colonialism that began in the 1500’s, was consolidated during Confederation, and continues to this day. Further, the country’s system of reservations for First Nations, enshrined in the 1876 Indian Act, was studied by and proved inspiration for South Africa’s own apartheid regime in the 1940s. In other words, Canada has in its history exported more than just cheeriness and (Smallpox) blankets. And in other areas, such as disability rights, we have lagged far behind Europe and the United States, the latter of which protected persons with disabilities under the ADA years before Canada was able to provide similar antidiscrimination legislation, which is even today marked by a substantial implementation gap. Despite these essential facts of Canada’s unique history of human rights violations, the country has coasted on its positive reputation for so long that citizens and the international community cling steadfastly to the idea of Canada as a bastion of liberal progressiveness, democratic accountability, and humanitarian generosity. The great English poet and philosopher Samuel Taylor Coleridge once argued that literary writers have the power to make readers commit a “willing suspension of disbelief” in an act of “poetic faith” when encountering implausible claims or stories if there is just enough interest or a hint of truth in the tale. Suspending our disbelief about the truth of a story in this way involves ‘cognitive estrangement’, a process whereby we wilfully lack the knowledge to challenge the premises on which a narrative is built. I think this is what we see at play in the disparity between the Reputation Institute’s ranking and the UN report: Canada’s admirable reputation is a fiction, and the country, as well as the world it inhabits, is and has for a long time been wilfully suspending its critical capacity to accept that there is no basis in reality for this belief. This cognitive estrangement is facilitated by the tendency when talking about human rights—by both media outlets and human right organizations—to invest in superlatives, rankings, and reputations. This is a kind of buzzfeed-isation of international human rights reporting. We see this, for instance, in BBC shows such as The World’s Worst Place to Be Disabled? and The World’s Worst Place to Be Gay?, or The Best And Worst Places To Be A Woman. Framing countries as the most this or that, or quantifying how admirable they are—Toronto was also recently named ‘The World’s Most Liveable City’—simply erases complexity and provides an easily invoked fact to counter criticisms: Canada is the most admired country in the world, it does not appear on any ‘worst’ list, it is therefore beyond reproach. Or if reproachable, it is at least better than most, and so should only be condemned accordingly. With my country and my city safely occupying the podium of prestige (as most liveable, most admired), I am able to pat myself on the back even as I turn it away from those issues affecting the reality of so many with whom I share these spaces—for I AM CANADIAN! Such lists and rankings are in no way useful, or even interesting. We need, instead, to think carefully about admiration—what it elevates and what it erases, what mental gymnastics we must play to invest in fictions of the best and the worst. We must ask ourselves what harmful habits of thought we enable when using the language of goodness and badness, rather than specificity, context, and critique. And in the meantime, Canadians need to accept that toping the charts of a single report has very little to do with the plights of the real people amongst them. Tim Wyman-McCarthy is an M.A. 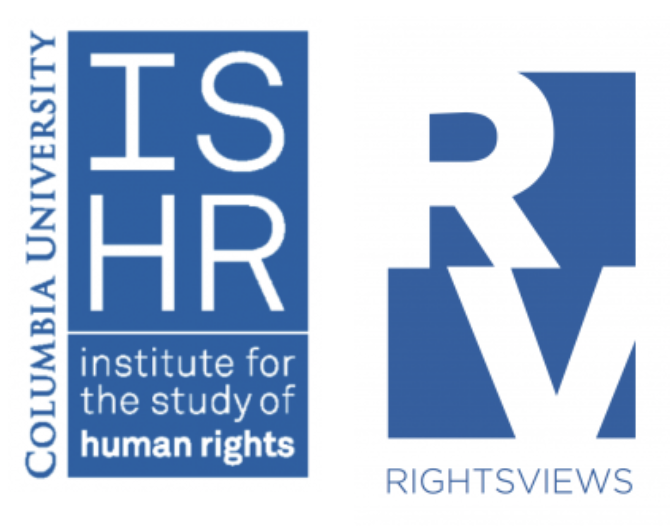 candidate at the Institute for the Study of Human Rights at Columbia University. His research interests include indigenous rights in settler colonial settings, human rights discourse, and disability rights.